How To Ensure Peace of Mind And What To Do To Always Have Contact With Your Child. For your children, a mobile phone is very important. When you are a busy person, you often do not know that the telephone for a modern young person means a lot. We can agree with it or not, we can fight it or not, but the fact remains a fact. When you see young people, they often use the phone, sometimes it's just that they are sitting side by side, talking to each other, staring at their phones. How is your communication with you? One of the consequences of the fact that the phone is very often used, is that when you try to call you, it turns out that you can not, because the phone is exhausted. Does it happen when you have important information to pass on, or are you just nervous about your child? You call your child and there is no signal here. When this happens, the imagination prompts you with the worst scenarios. Then shivers pass on your back and you feel a stomach cramp. Why was not it like this before? If Olenka in "Potop" had the opportunity to contact Andrzej Kmicic, she could learn from him how he loves her. Unfortunately, it was not possible in those days to do so (no phones) she had to trust her intuition and not be seduced by Radziwił. As you can see, contacts are necessary in the past as well as now. Give your child a phone so he can contact you. A kid with a camera will use it very often, so please stock him with a decent powerbank. 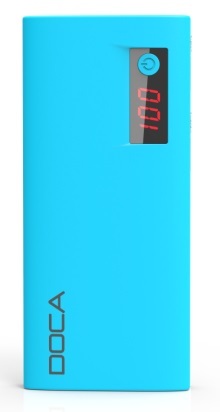 The technical parameters for this powerbank are given below. • weight - 265 g.
With such energy banks, you can load every phone three times. When the phone of your baby has, for example, a 2600 mAh battery, you can easily load this camera up to 4 times. 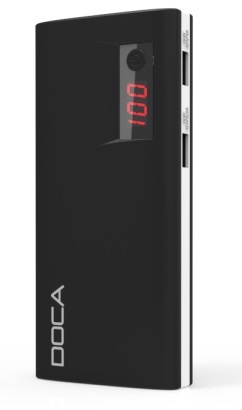 The device is equipped with a counter, so there is no problem to control the amount of energy in the powerbank on an ongoing basis. Your child, even if you do not know how long you used the phone, is not able to exhaust the battery during the day (of course also having our powerbank). Thanks to the energy bank when it runs out of energy, it is able to charge your phone up to four times! No more worrying about having a baby when the phone runs out, for example on a bus, plugs in an energy bank and the matter is resolved. But you, my dear mother, knowing that your child is safe, you can take care of other things. Let's make life easier! The RI group is a reputable power importer of DOCA banks. This company has been dealing with energy banks (power banks) and starters for several years. The devices have the Declaration of Conformity and the correct CE marking. When you intend to buy powerbank on the internet, check whether it has a Declaration of Conformity and CE marking. Do not buy the cheapest devices, because they most often do not have the required certificates. 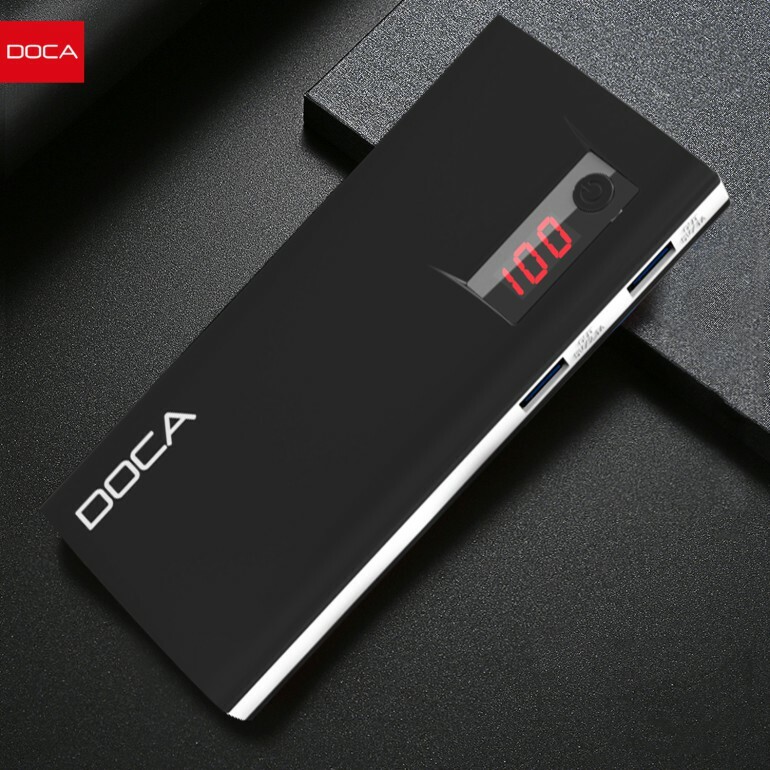 You take care of your child's safety, so you should buy really good equipment such as DOCA 13 000 mAh. At this powerbank, we give you one year warranty, you risk nothing when you will not like you powerbank, you just send it back. Order now, just click "Buy now", fill in a very simple form, make a payment.